Two exhibits, each representing African-American culture and history, have recently opened at Uptown Charlotte museums. 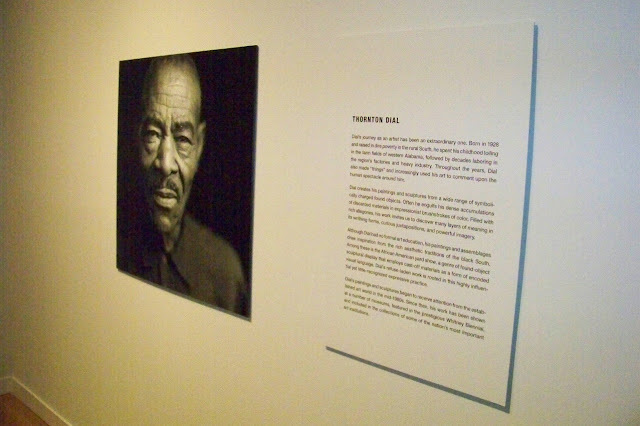 I had the privilege of checking out both of them—Hard Truths: The Art of Thornton Dial at Mint Museum Uptown and America I AM: The African American Imprint at The Harvey B. Gantt Center for African-American Arts + Culture. I'm sharing my thoughts on each exhibit in separate blog posts. Below is about Dial's. Before I walked through Hard Truths: The Art of Thornton Dial, I wasn't familiar with the artist or his work, so I really didn't know what to expect. I didn't know I would see glimpses of my early childhood in rural South Carolina. Dial is a self-taught artist who was born, raised, and has lived his entire life in rural Alabama. He's 84 years old now, and he was practically an elder gentleman when his art was discovered about 25 years ago, subsequently becoming a part of exhibits in the 1990s through today. He spent several decades doing what most blacks in the South of his generation did—worked on farms, in fields, and later in factories. Born a year before The Great Depression and living through Jim Crow and poverty, as you could imagine, he had very little opportunity for a formal education. His story is what makes his artwork so amazing, to see how he's able to express social, political, cultural, and religious messages in such thought-provoking ways. He made masterpieces out of what's commonly referred to as "yard art," with many of his sculptures and large paintings comprised of materials that are usually relegated to landfills. Those scraps of wood, metal, and plastic reminded me of what I would often see throughout the acreage of my grandparents' yard in Rembert, South Carolina, when I was about five or six years old in the mid-1980s and my siblings and I would roam around the yard finding anything to play with, throwing stuff at chickens to make them scatter. You find those scraps in Dial's pieces such as "The Beginning of Life in the Yellow Jungle" (2003), a 75-foot-by-112-foot painting made from plastic soda bottles, clothing, bedding, wire, metal, a doll, rubber glove, turtle shell, artificial flowers, and other materials on canvas. And in one of his most recognizable pieces, "Don't Matter How Raggly the Flag, It Still Got to Tie Us Together" (2003), a 71-foot-by-114-foot painting made from mattress coils, chicken wire, clothing, can lids, metal, plastic twine, wire, and more. 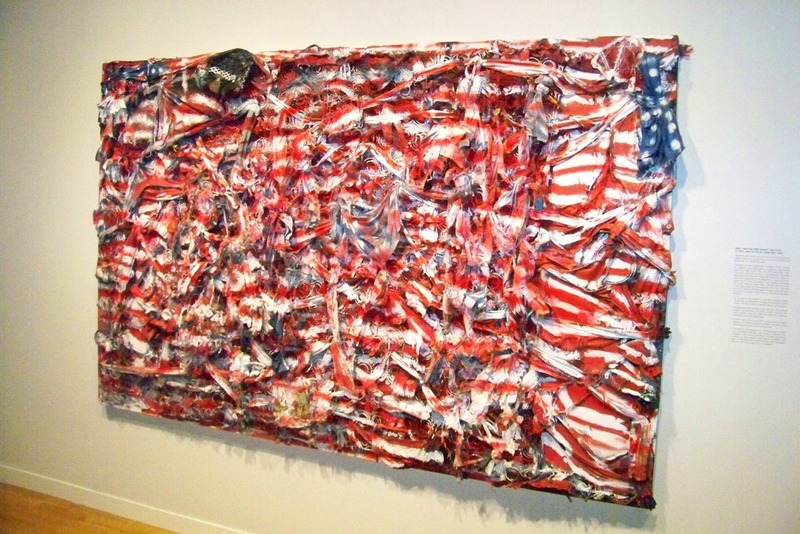 The description accompanying it reads, in part: "In this piece, the image of a torn and ravaged United States flag symbolizes the struggle underlying American history and the quest for freedom, liberty, and equality. Created just after the start of the Iraq War, the painting is also a commentary on human conflict that turns the flag's patriotic red and white into festoons of bloody bandages on a gory battlefield." "Don't Matter How Raggly the Flag..." is one of more than 30 Dial pieces on display. Hard Truths: The Art of Thornton Dial is on display until September 30 at Mint Museum Uptown, 500 S. Tryon St., www.mintmuseum.org.